Since taking on my role in the team building the Digital Literary Atlas of Wales, I’ve been lucky enough to visit some spectacularly uninteresting places: motorway service stations, forgettable B&amp;Bs, generic fast food outlets, characterless pubs. I’ve spent countless hours in my battered little blue car, crawling behind tractors on snaking mid-Welsh B-roads, swearing loudly as traffic stops to standstill on some stretch of the M4, stubbornly ignoring the disconcerting noises coming from beneath the bonnet as I reach speeds upwards of 60mph. It has been a pleasure. And I say that without a hint of sarcasm, because if this project has taught me anything, it has been to be attentive to unique moments in space and time. I’ve also been to some genuinely spectacular places. At the risk of sounding like Rutger Hauer in that scene at the end of Blade Runner, I’ve seen some amazing things this year. 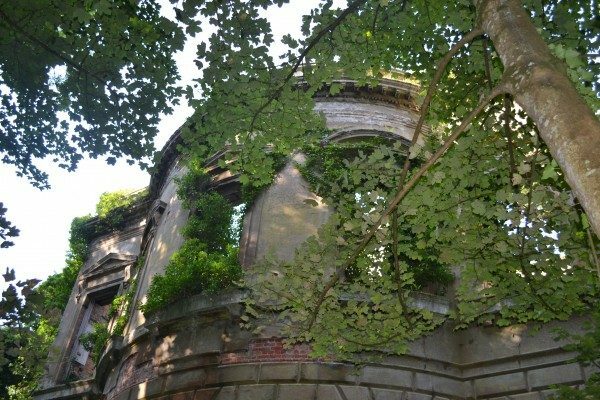 I’ve visited Baron Hill, a ruined mansion on the island of Anglesey which nature has almost completely occupied. 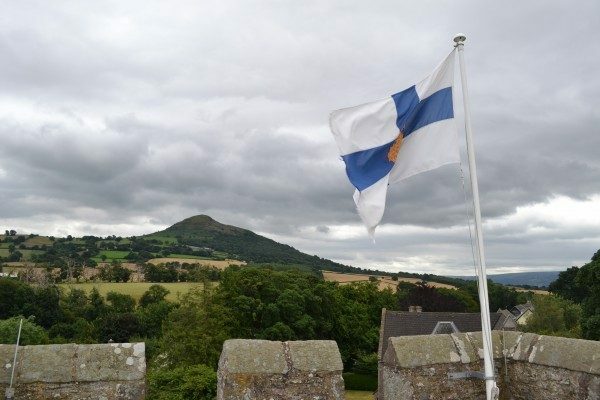 I’ve climbed sketchy ladders to the top of a church tower to gaze at Skirrid Fawr, the magnificent “Holy Mountain” in the Black Mountains of the Welsh border country. I’ve ripped moss away from gravestones to read inscriptions in a remote cemetery on a mountaintop in the south Wales valleys. 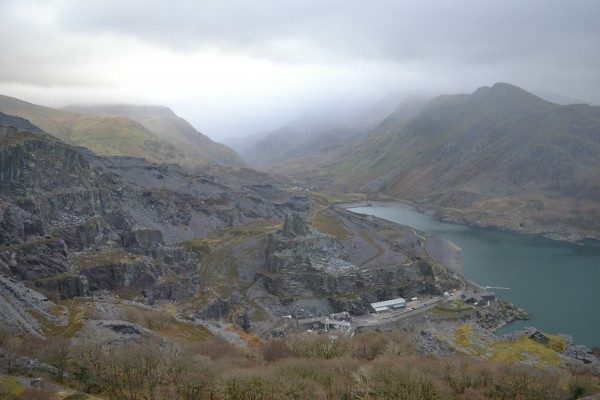 Yesterday, I drove north and visited a breathtaking abandoned slate quarry in Snowdonia. Each of these has been a profoundly moving experience. Each has affected my understanding of spaces and my place within them. The Digital Literary Atlas of Wales is an AHRC-funded project based at Cardiff University. It is a new exercise in “Literary Geography”, and follows the much-vaunted “spatial turn” in the humanities, which resulted in the reconsideration of the notion of “space” as not essentially “there”, straightforwardly available to perception, but as socially and culturally encoded, an intellectual construct. While there is an undeniable phenomenological aspect to the way we experience spaces, there is also another deeply social, cultural dimension to this: we may experience spaces through the body, but we understand and make sense of them through language and culture. As a result, spaces accrue meanings through time. As Jon Anderson has written, ‘the product of the intersection between context and culture is place.’ These accrued social conceptions of place invariably impinge on the ways we inhabit and experience them. One of the aims of Literary Geography is to explore the role of language and literature in this interactive process of creating “place”. It asks: how do literary texts affect our conceptions of space/place? How does the location of fiction affect the kinds of stories that can be told? How can a “spatial” reading of literature help us forge new understandings of places and our place within them? And, importantly, how can digital deep maps of literary texts enhance the ways we answer such questions? – but, further, supplementing these data-points with a range of other material: historical maps, sociological data, visual representations of the regions (films and paintings, for instance), interviews with authors on location, and more. This material is then curated and read against the themes and plots of the texts themselves. We have deliberately chosen novels set in “real”, or at least “locatable” places in order to do this. 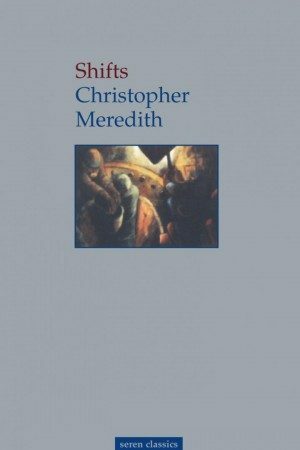 One of those we have chosen to map is Christopher Meredith’s Shifts (1988), a brilliant novel that charts the personal, emotional effects of the decline of the steel industry in south Wales. This is a text closely attuned to the meanings that places accrue in time, and the ways in which individuals and communities construct and experience themselves in relation to them. Based in the town of Tredegar, close to what was once the colossal Ebbw Vale steelworks in south Wales, the novel explores the ways in which the economic forces that were dismantling those steelworks in the late 1970s were at the same time dismantling the social and psychological frameworks that gave the region its sense of identity. Shifts periodically clocks into the consciousness of three main characters, each struggling to locate their identity at this time and place of profound social change. Tellingly, the characters visit “real world” locations in their process of reflecting on their place in this changing community. One site of major significance in the novel is Cefn Golau cemetery, a burial ground built high on a mountain above the valley for the victims of a nineteenth-century cholera epidemic. Gathering material for the deep map of Shifts, Kirsti Bohata and I visited the cemetery with Christopher Meredith on a windswept day back in September. It is, undeniably, a profoundly affective place. Chris summed it up in our interview with him later that day: ‘it’s a powerful place […] something comes out of the earth there’. 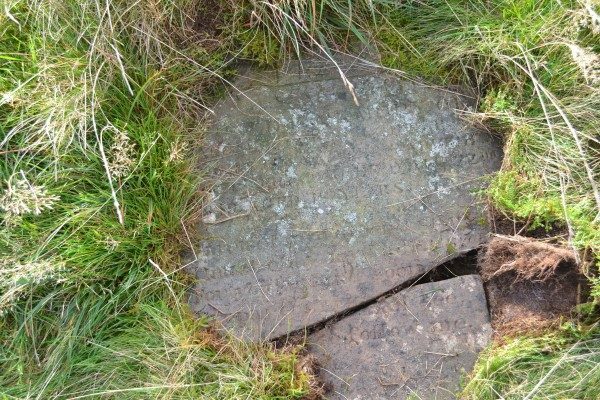 Indeed the gravestones do appear to rise out of the earth in an almost elemental way – jutting out of the ground at all angles, with some so heavily mossed that they appear almost timeless, part of the fabric of the landscape. Even without an understanding of its historical origins, it’s impossible not to be moved by the rugged, ghostly power of the place. But beyond this, viewing the cemetery through the lens of the novel enables other kinds of perception. Indeed, Shifts’ depiction of Cefn Golau invites us to think about the symbolic power such places accumulate over time, and the ways we locate our selves in relation to them. A sense of space. Journey’s end. The two sounded at odds, yet he felt them both. He felt, too, the blood move in his head. A full throb in his temples and pain in the eyeballs. Jack’s friend Keith, however, experiences the site very differently. An amateur historian, Keith attempts to combat the encroaching anomie caused by the decline of the steel industry by learning about the history of his town as an early industrial ironworking community. His visit to the cemetery is informed by his understanding of its past, and he finds solace in situating himself within the historical continuum of the region and connecting himself with the people that once inhabited it. He walked on a few paces. The ground was rutted with settled graves, which were very close together. The next stone was wide, not such a dark grey as John’s. Benjamin Davies. A man in his thirties. 7fed Mawrth 1850. How soon after John? Keith imagined John small and dark with curly hair. At nineteen, already working for nine or ten years. Ben was a larger man, looked older than his age. Shifts is a novel that eloquently explores the ways in which locations and landmarks function as part-real, part-imagined co-ordinates, symbolic reference points by which we orientate our senses of self. Moreover, its own depiction of the cemetery has now further contributed to its symbolic, cultural resonance; I would now find it impossible to visit Cefn Golau cemetery without contemplating Meredith’s descriptions of it in Shifts. Read against the real landscape it describes, the novel throws into relief the curious ways in which we both physically experience and intellectually construct the spaces we inhabit. 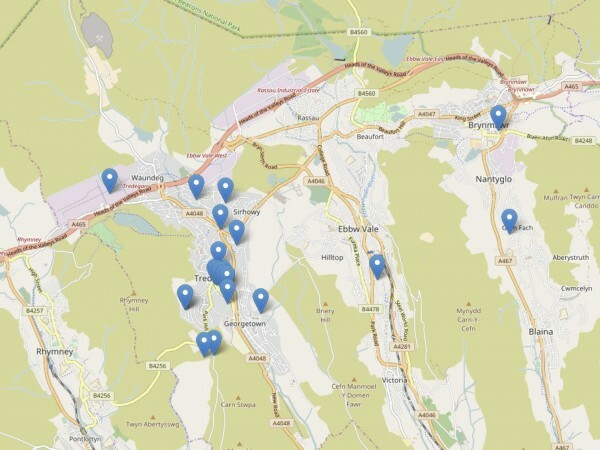 The aim of the Digital Literary Atlas of Wales is to encourage readers and writers to explore the symbolic resonance of such places for themselves. On one level it will serve as a digital resource, providing textual and contextual information about novels and the locations in which they are set. The deep map of Shifts, for example, will provide maps, images and video footage of the locations imagined in the text, alongside historical and cultural material to augment readings of the novel. When explaining this, I usually reach to Damian Walford Davies’s description of deep mapping as a ‘critical and affective inhabitation of the cultural dimensionality of a literary work’. In this sense, users will be able to adopt Keith’s perspective, and experience places and landscapes through a culturally and historically-informed lens. Indeed, even if users are unable to visit the locations in question, the website will itself be an online space with which they can digitally “inhabit” these places. But crucially, the website aims to encourage readers and writers to adopt Jack’s perspective too. Part of the pleasure of working on this project has been the sheer phenomenological thrill of visiting new places, seeing new things; of embracing the unusual, the new, the accidental –even the banal. The Digital Literary Atlas of Wales aims to show that literature can provide the starting point for more responsive, sensitive understandings of places and our relation to them. It invites people to step outside the normal flow of their lives, to re-orientate themselves within known and new landscapes, and inscribe places – and themselves – with new meaning. The Digital Literary Atlas of Wales project team consists of Jon Anderson, Reader in Human Geography within the School of Geography and Planning, Cardiff University (Principal Investigator), Kirsti Bohata, Director of CREW (the Centre for Research into the English Literature and Language of Wales), Swansea University (Co-Principal Investigator), Jeff Morgan (Research Associate), and Kieron Smith (Research Associate).